In the course of their history, the ancient Egyptians developed a political organization that can be described as very efficient for their day. The political structure included appointed officers who, through a hierarchy, reported to the overall leader of the land called Pharaoh. At the very top of the political structure was The Pharaoh. He was the supreme leader of the land. He was the Head of Government as well as the head of the religious order that had been developed at the time. He was, in fact, equated to a god and accorded that respect by all. It was his responsibility to appoint officers to particular positions to carry out specific duties that helped in the smooth administration of the empire. Directly below the Pharaoh was the position of the Vizier. He was an appointee of the Pharaoh and worked as his right-hand man. It was his responsibility to oversee the entire land and ensure that the citizens were happy. The position of the vizier can be likened to that of the Prime Minister in a modern political system. It was his duty to adjudicate cases that were brought before him. He was enjoined to pass judgment in a way that was fair to all parties involved. He could not act outside the law. Every action he took was measured by the stipulations of the laws of the land. He could also not act according to his whims and caprices. He reported to the Pharaoh directly. The position of the Nomark was the third highest in the land of ancient Egypt. The land was divided into forty “nomes” or local districts and each was administered by a Nomark. The position of the nomark was equal to that of a Governor of a province today. Their responsibility, as local governors, was to administer the divisions they were assigned to. 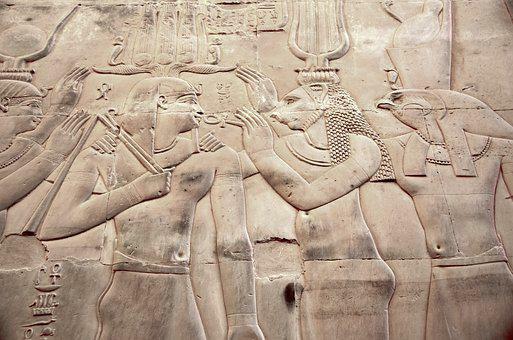 The Army Commander was appointed by the Pharaoh. He was the head of the entire military set of the state and he reported directly to him. He was responsible for the training and retraining of the troops and went to war alongside the Pharaoh. The Chief Treasurer was also an appointee of the Pharaoh. He was responsible for the financial affairs of the state. He ensured that all taxes were efficiently collected so that the king did not lose any money that was due the state. He was in charge of all public works such as the construction of buildings, pyramids, etc. He was appointed by the Pharaoh and reported to him directly. The scribes were the record-keepers of the land. They kept every record of taxes paid by the people and the general finances of the state. These officers were also appointed by the Pharaoh and reported to him. It was their duty to keep record of farming activities of the land. They recorded names of farmers and what they need to properly function in their field.